There will be a Foo Fighters concert in the capital of Norway, in Oslo next year in 2015. 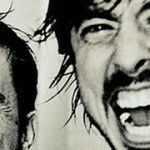 Foo Fighters is an American rock band which was formed in 1994. During the years the band went through some line up changes and the current members of the band are Dave Grohl, who is the former member of the band, Pat Smear, Nate Mendel, Taylor Hawkins and Chris Schiflett. The band’s latest album the Sonic Highways was released this year in the end of November and this was the band’s eight studio album during their musician career. The Foo Fighters will start a world tour from this December and this is going to be the eighth upcoming world tour of the band. The Sonic Highways World Tour is supporting the band’s latest album the Sonic Highways. During the tour the band will give in total 63 concerts all over the world and the first concert will be on 10th December 2014 and the last one will be held on 7th October in 2015. Foo Fighters will visit the capital of Norway as well. In Oslo the concert will take place at the Telenor Arena and the concert will be held on Wednesday 10th June in 2015. Tickets for the concert are already available. For more information on the tickets and prices check the following site: WorldTicketShop. If you want to see and experience Foo Fighters at Wembley Stadium in London instead, you can read more about the two Foo Fighters concerts that will be arranged at Wembley in London here.